The Nahar's Nilgiri hotel is one of the famous 3 Star hotels of Ooty. 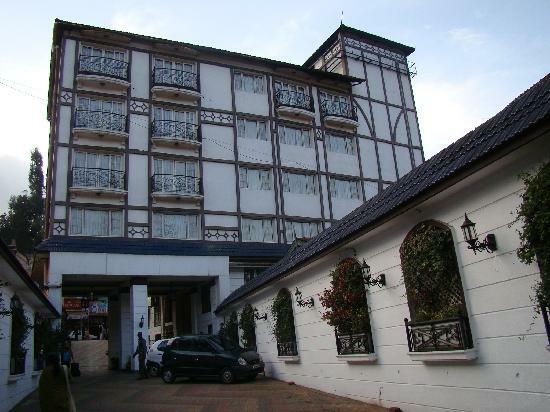 The hotel is centrally located in the heart of Ooty and is just 2 km from the railway station. The hotel offers a warm hospitality with the welcome spirit of the Nilgiris hills. The Nahar's Nilgiri hotel offers its guests with all the world class features that a visitor looks forward for in a hotel. The Nahar's Nilgiri hotel offers a total of 88 tastefully and beautifully decorated rooms. Free Room Service, Hot/Cold running water, Direct Dialing STD/ISD Facility, TV, Music Channel, Convention Centre, Banquet Facility, Shopping Walkway, Golf, Doctor on Request, Laundry Facility, Currency Exchange, Fax, Safe Deposit with Cashier, Safe Vault, Travel Desk, Credit Cards Accepted.